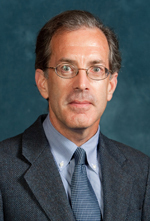 Prof. Kushner joined the University of Michigan in September 2008 as founding director of MIPSE. He also directs the Department of Energy Plasma Science Center on Control of Plasma Kinetics, a collaboration of 10 universities and national laboratories. He has courtesy appointments in the Department of Nuclear Engineering and Radiological Sciences, and in the Applied Physics Program at Michigan. Previously, Prof. Kushner served on the Technical Staffs of Sandia National Laboratory and Lawrence Livermore National Laboratory before joining Spectra Technology where he was Director of Electron, Atomic, and Molecular Physics. In 1986, Dr. Kushner joined the University of Illinois at Urbana-Champaign where he was the Founder Professor of Engineering in the Department of Electrical and Computer Engineering. In addition, he served in many administrative roles, including Assoc. and Asst. Dean in the College of Engineering and head of Electrical and Computer Engineering, and Chemical Engineering. In January 2005, Dr. Kushner joined Iowa State University (ISU) as Dean of Engineering and the James and Katherine Melsa Professor. At ISU, he established the Engineering Policy and Leadership Institute and initiated the 2050 Challenge to focus education, research and outreach on addressing the most pressing of societal issues. Prof. Kushner’s research area is low temperature plasmas, their fundamental properties, their interaction with surfaces and their technological applications. His research group develops multi-scale computer models employing hybrid methods which combine different computational techniques which address different physical phenomena. His research has addressed many areas of low temperature plasmas, including lasers, lighting sources and displays, pulsed power, materials processing, dusty plasmas, biological and environmental applications, and feature evolution in microelectronics fabrication. His research group has made significant advances in our understanding of the integration of plasma transport, chemistry and surface interactions. Their modeling platforms are widely used by industry and university collaborators. Prof. Kushner has published more than 250 journal articles and delivered more than 240 invited symposia presentations on these topics. He is a Fellow of the American Physical Society, IEEE, Optical Society of America, AVS, Institute of Physics and International Union of Pure and Applied Chemistry. He has served on the editorial boards of several journals (JVST, Trans. Plasma Science, Plasma Processes Polymers, Plasma Chemistry Plasma Processing, J. Phys. D), is editor-in-chief of Plasma Sources Science and Technology and is a co-author of the recently published National Research Council Decadal Report on Plasma Science. His service roles include Chair of the AVS Plasma Science and Technology Division and chair of the Gaseous Electronics Conference. He has received the APS Allis Prize, Semiconductor Research Corp. Technical Excellence Award, the Tegal Thinker Award for Plasma Etch Technology, the AVS Plasma Science and Technology Award, the AVS Medard W. Welch Award, the IEEE Plasma Science and Applications Award, and the Semiconductor Industry Association University Researcher Award. Prof. Kushner received the BS in Nuclear Engineering and the BA in Astronomy from the University of California at Los Angeles in 1976; and the MS and Ph.D. in Applied Physics from the California Institute of Technology in 1977 and 1979.